This massive yard sale featuring clothing, furniture, appliances, toys, odds & ends, and something for everyone. Proceeds benefit several local and international missions organizations. Located at Ringgold United Methodist Church (7484 Nashville St, Ringgold, GA 30736), the Missions Yard Sale is held rain or shine. 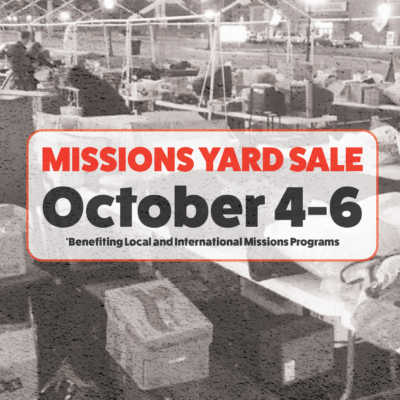 Weather permitting, the Missions Yard Sale is held outdoors in the front parking lot beside Nashville Street. 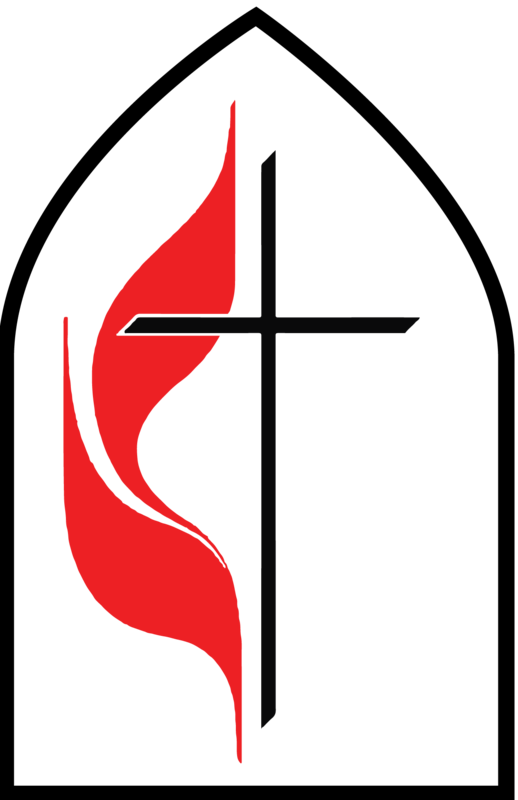 If weather does not permit an outdoor sale, the Missions Yard Sale is held indoors in the Gymnasium of Ringgold United Methodist Church. 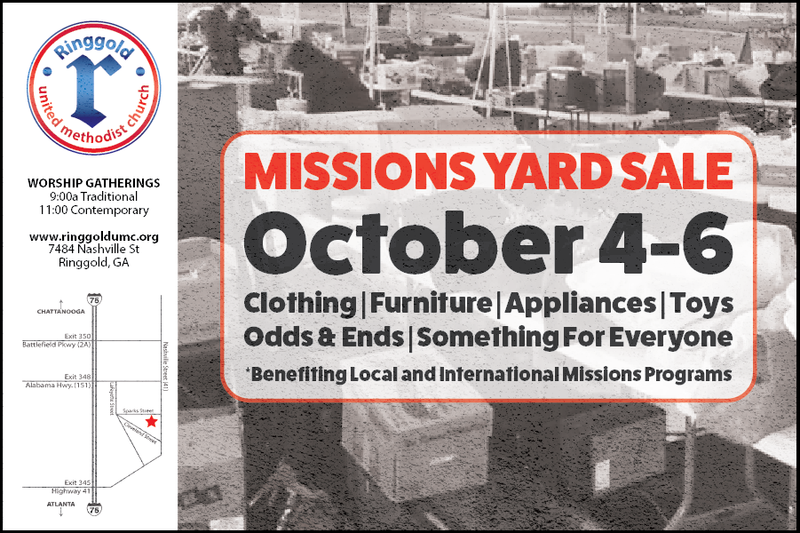 Donations for the Missions Yard Sale can be coordinated via email with Missions Yard Sale Director, Bill Copeland.